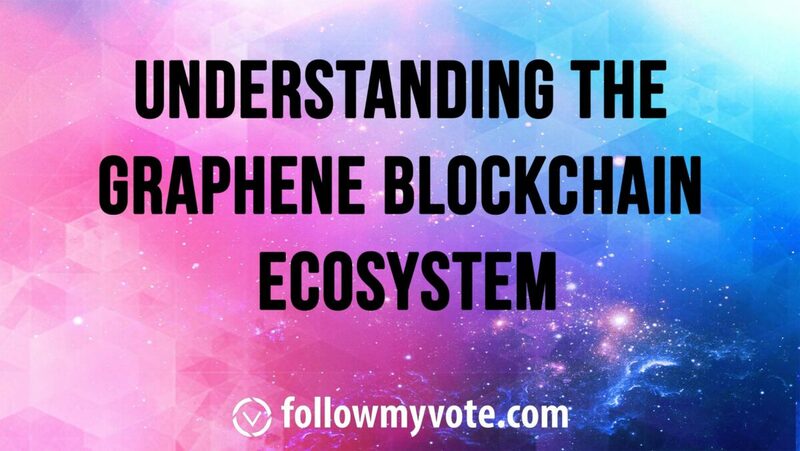 There are three main blockchain ecosystems in the market today: the Graphene ecosystem, the Bitcoin ecosystem and Ethereum ecosystem. Follow My Vote CTO, Nathan Hourt is responsible for owning a critical role in the design and development of the Graphene Toolkit, which was first built for BitShares, a leading crypto-currency that has been credited with several industry innovations. The Graphene blockchain framework also powers the Steem blockchain, PeerPlays blockchain and Golos blockchain. 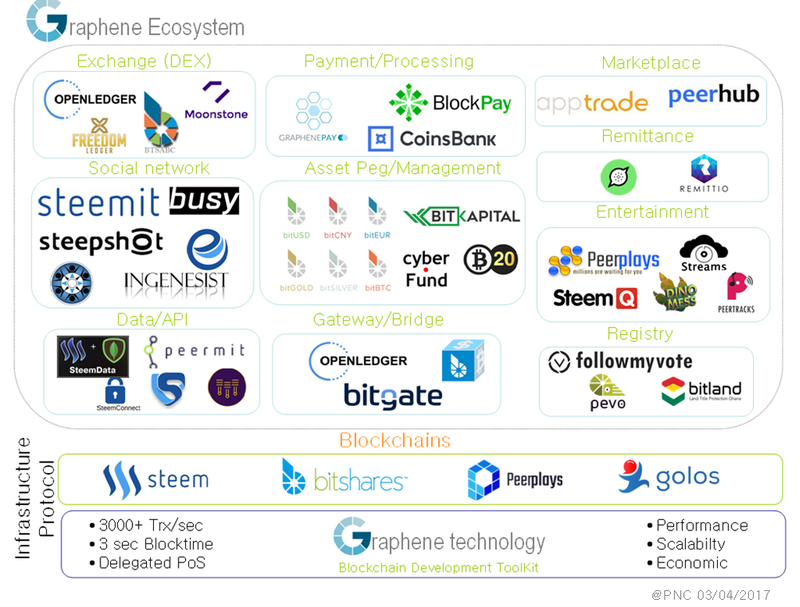 @pnc on Steemit.com shared this Graphene blockchain ecosystem mapping. Follow My Vote is featured in the registry section. It is really cool to see all the projects and apps utilizing Graphene technology in one graphic. The Graphene toolkit utilizes a Delegated Proof of Stake consensus mechanism. This means that the difficulty of producing a block should be proportional to the stake (percent ownership) in the network. Instead of mining (like Bitcoin and other Proof-of-Work systems) delegates are chosen by the stakeholders of the crypto tokens. Those delegates proceed to run the network with less competition and energy than a Proof-of-Work system. DPOS systems are more efficient and allow for extremely high transaction volumes, as demonstrated by BitShares and Steem. Learn about Follow My Vote’s blockchain voting software.